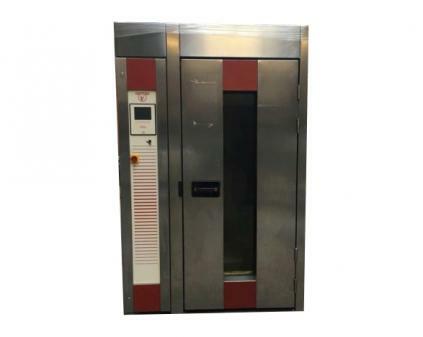 Second hand Compacta Rack - Single Rack Oven allows you to produce approximately 100 mugs per hour. The oven is constructed of stainless steel both inside and outside and features touch screen colour controls, full length door and easy load rotating rack system. Supplied with 1 rack, additional racks available at extra cost. Age of oven is approximately 2 years old. Sold as seen. Please call for further details.